Wheeland and Blue Hills, Providenciales. The community and area of Wheeland (also locally referred to as “Veeland”) is found between Blue Hills and Northwest Point. 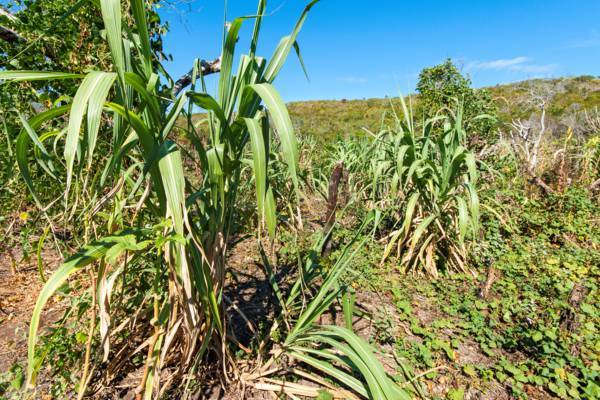 Until recent years, this area supported very little development and largely only saw small farm fields, where maize, pigeon peas, squash and okra would be grown. Today, the general Wheeland area is home to two local residential neighborhoods: Millennium Heights, which is inland to the southwest of Blue Hills, and Wheeland Settlement (also known as Belglade Gardens), which is closer to the beach and directly to the west of Blue Hills. 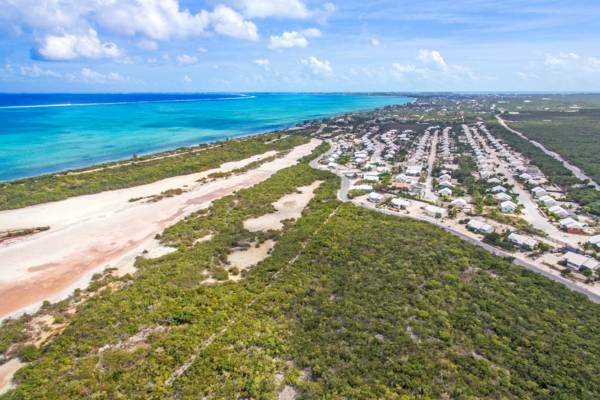 Wheeland is the last settled region on the west of Providenciales before the undeveloped regions of Northwest Point and Malcolm’s Road Beach. Short-term vacation lodging is offered at a few homes in both the Wheeland Settlement and Millennium Heights neighbourhoods. Due to the remote location (from a tourism perspective), these accommodations tend to rent for some of the lowest rates on the island. Because of the lack of local public transport, we highly advise that visitors staying in Wheeland reserve a rental car for the duration of their trip. One of the interesting features in the area is Wheeland Pond, the former site of a sand quarry. This system of brackish (semi salty water) is a haven for birdlife. 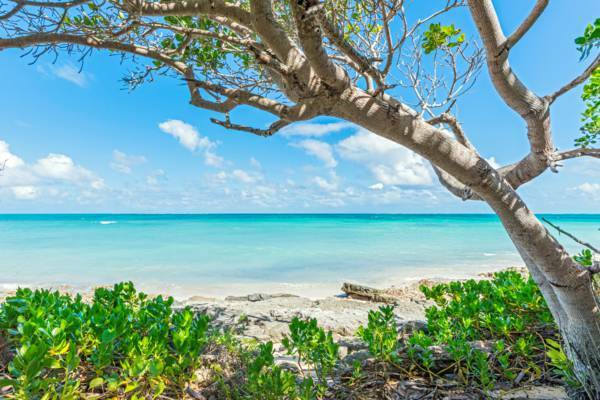 Recent proposed changes to the National Parks order in the Turks and Caicos include the creation of the Wheeland Pond Nature Reserve, a 96 acre protected area. The ponds at Wheeland were created as the mined sand pits naturally filled with water, and consequently their environment differs a bit from other wetland terrains common to Providenciales. 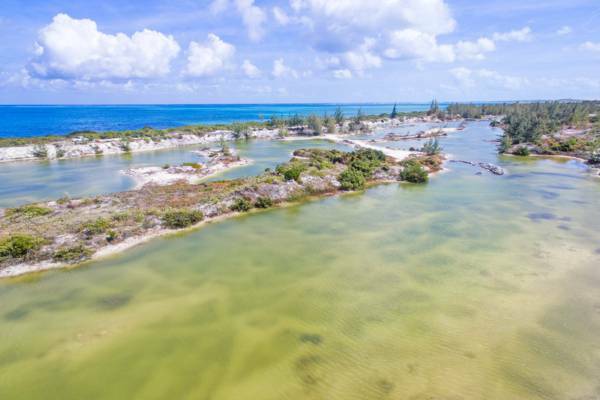 The vast majority of inland bodies of water on the island are shallow high-salinity ponds, or tidal mangrove-lined channels that are directly connected to the ocean. Wheeland Ponds, however, tend to be distinct ponds that are 3-6 feet (1-2m) deep, and this slightly increased depth over the other wetlands on the island attracts waterfowl and birds such as ducks, grebes, cormorants and pelicans. The salinity and depth of the Wheeland Ponds mimics some the Karst blue hole pond features found at a few spots throughout the islands, which also attracts similar wildlife and waterfowl. The old Northwest Point trail lead from the western end of Blue Hills along the coast to the navigation light tower at the extreme point of the island. Before the construction of the Crystal Bay Resort (now Northwest Point Resort), this off-road track was the only land route to the point, and quite an adventure to traverse. It’s no longer possible to take the original route as the Northwest Point Resort now blocks a significant section of the track, yet remnants still remain in the Wheeland coastal area, and the current national park road that begins near the resort still follows the much of the old trail. A farm patch in the Wheeland area. Due to their adjacent locations, Wheeland has been traditionally tied to the settlement of Blue Hills, and was utilized for subsistence farming and the logging of hardwood lumber such as the West Indian mahogany and lignum viatae. Another industry that took place in the Blue Hills and Wheeland areas was ship salvaging, or wrecking as it was commonly known as. The reefs surrounding the Turks and Caicos have proven to be quite treacherous to ships in the past, and the recovery of anything of value left on the vessels provided a significant income to the people on Providenciales at the time. One of the large wrecking bases in the area was Birch’s Lookout. Both the logging and wrecking contributed to another activity that took place in Blue Hills, the building of Caicos Sloops. The hardwoods harvested in the area were used for blocks, spars and fittings, and salvaged sails and hardware from wrecks was repurposed on new boats.